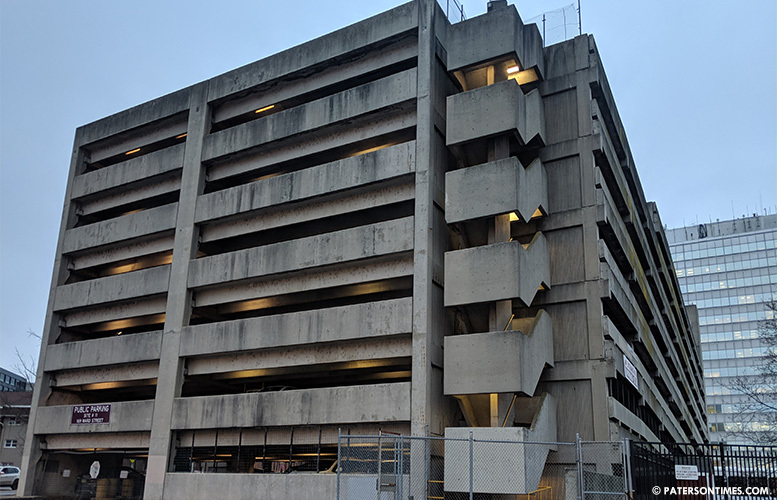 The New Jersey Economic Development Authority (EDA) has approved $30.5 million to replace the obsolete Ward Street parking garage. As part of the project, the Paterson Parking Authority will add a retail component to the new garage. Existing 735-parking space garage on the almost two-acre site at 169 Ward Street will be demolished to make way for a new nine-story, 940-space parking structure with 2,500 square feet of street level retail, according to state documents. The total cost for the project is $43.8 million. Tony Perez, director of the Paterson Parking Authority, last week said his agency is preparing to advertise a request for proposal to have a developer build on a portion of the site that fronts Memorial Drive. The site is across the street from the Paterson Train Station, making it a prime spot for housing and retail. Perez did not respond to a call for comment on Thursday. The award states 100-percent of parking costs and 40-percent of the office space and retail component will be covered by tax credits. State officials approved the award on Tuesday. Construction is expected to begin in Feb. 2019. Completion date is set for Mar. 2020, according to state documents. Perez has to have the project completed by Jul. 2022 and have a temporary certificate of occupancy for the building. The award is part of the $130 million tax credits set aside for the city. Mayor Andre Sayegh’s administration submitted a list of half-dozen projects to fund using the tax credits. Among the projects was the Ward Street garage. Other projects include the Alexander Hamilton visitor center, a 9,000-seat sports arena at Center City Hall, and a 900-space parking garage in South Paterson. The Ward Street garage project will create 150 temporary construction jobs, according to state documents. Florio is trying to buy ALL of Paterson. Sweet kickers on that one!!! Why is the old one obsolete?